Tom Rotanz, the State Championship Lacrosse Coach from Shoreham Wading River has taken the weighted training shaft to a new level. Thinking back to the days when I played and shoved a long piece of two of rebar (reinforcement rod), sand, pennies and more into a lacrosse shaft to make it weighted, this was one of the best things that helped my game and stick skills improve. 20 years later...the Math and Computer science teacher has come up with a shaft that is now being found on campuses and teams like the Duke, Ohio State and North Carolina Mens team as well as the Syracuse University Women's team. You can now get this shaft and start your training for the 2013 season and beyond right here at LacrosseCommandments.com and BasicLacrosse.com Check out these clips to get an idea about what these shafts are all about! 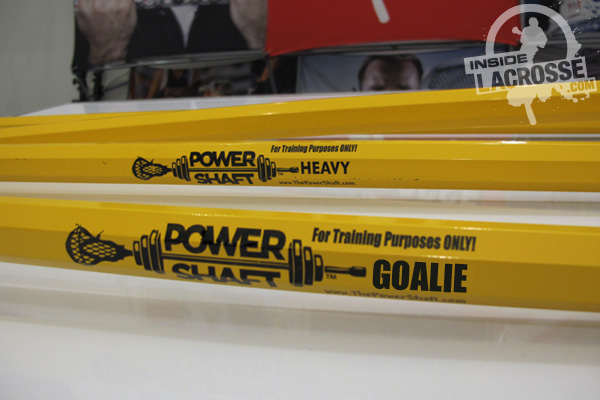 Grab Your Own PowerShaft here!